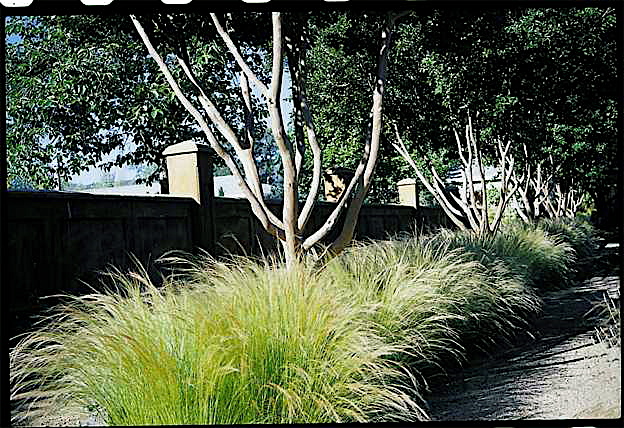 A California appropriate 'English' border with all drought resistant plants that tolerate hot climates. 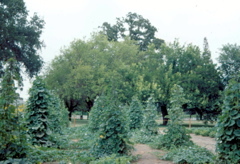 All plants attract and support many insects and birds. 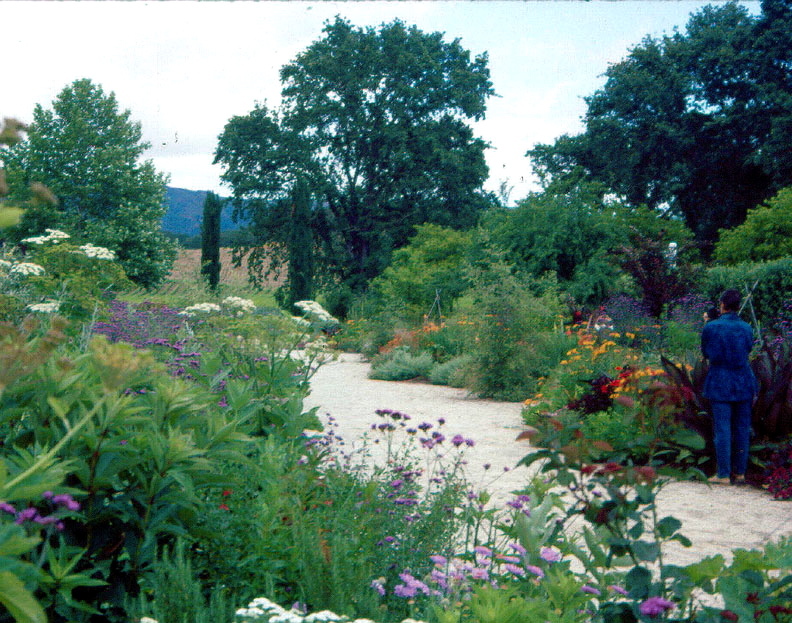 It was a place of life and fragrance- Kate's favorite garden ever. It was in hopland, Ca and is no longer there. 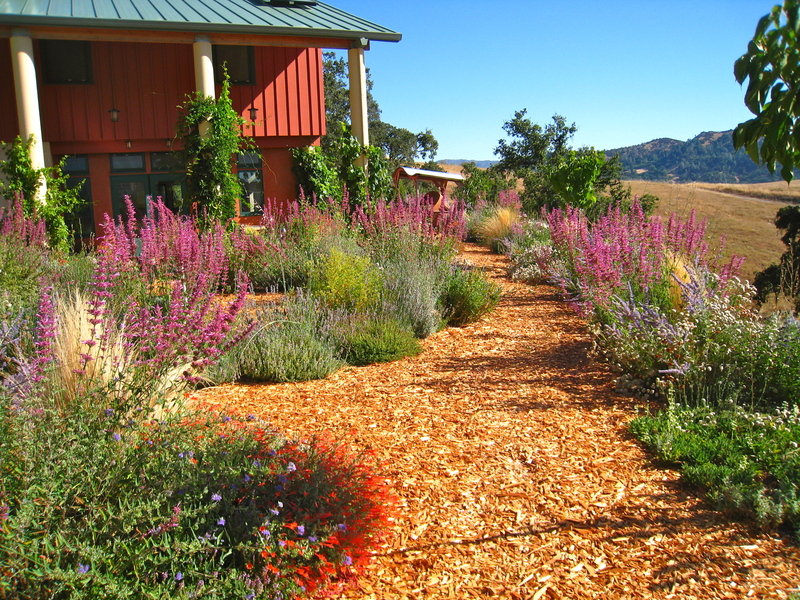 Kate has created many creative, colorful and dynamic gardens over the past 2o years. 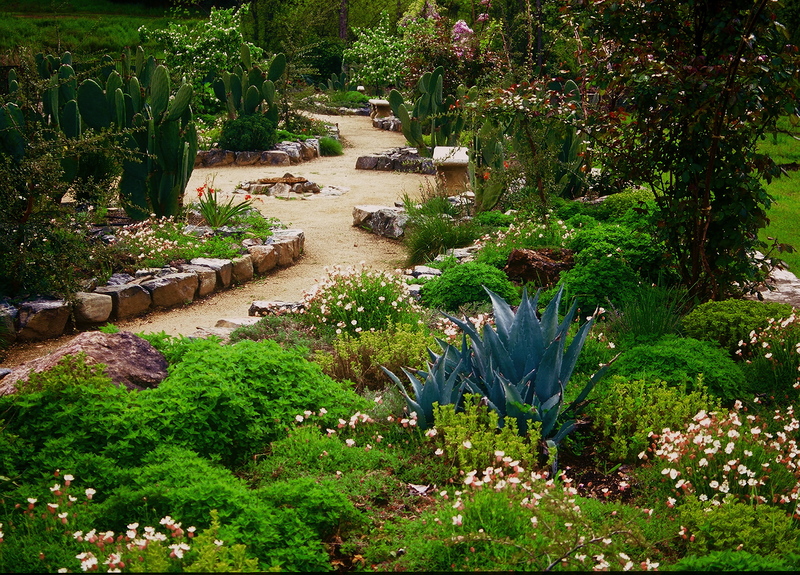 All of them reflect her concern with the environment, love of nature and life. 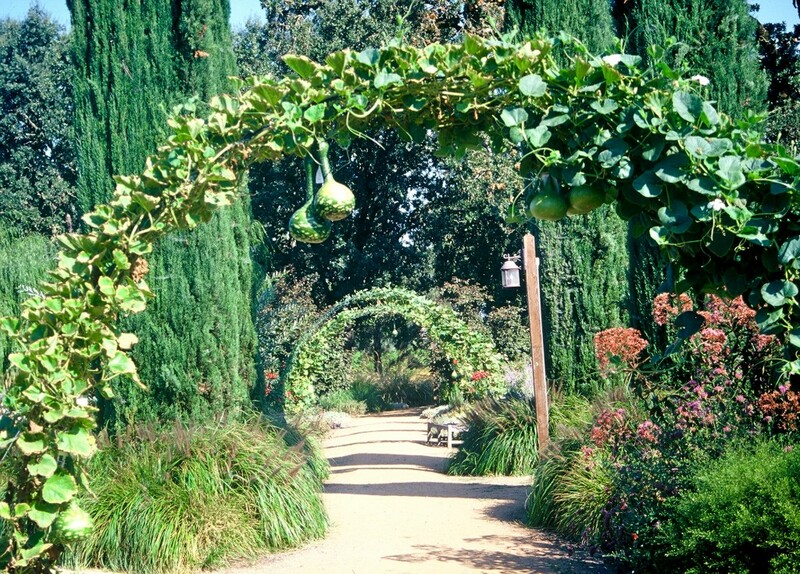 She seeks to engage people with the vitality expressed in each garden- to leave them with an experience that will stay with them, and to inspire them with color, spontaneity and nature. 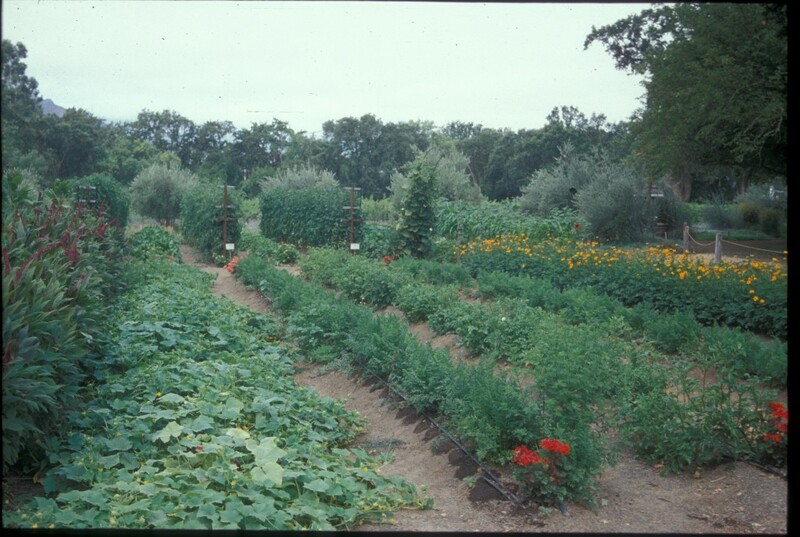 The photos below are from the former Fetzer garden in Hopland, California as well as others in Northern California. 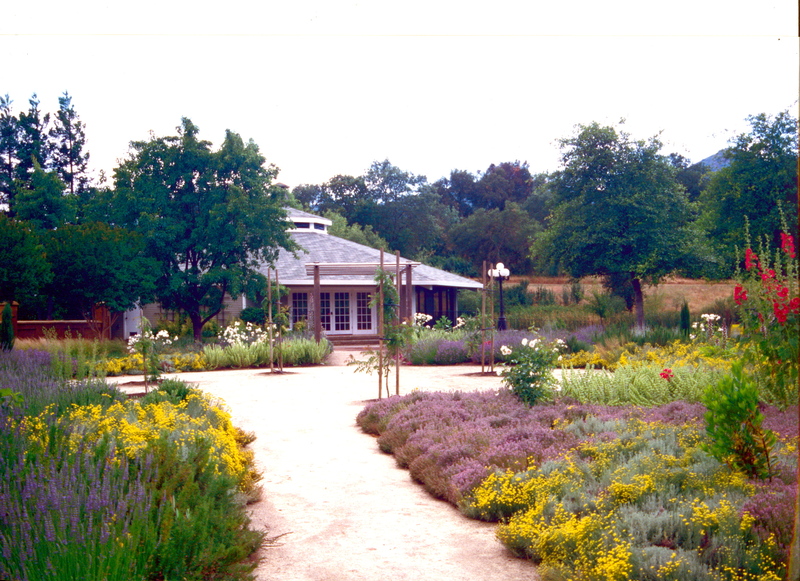 A Mediterranean garden in Hopland, california at the former Fetzer garden. 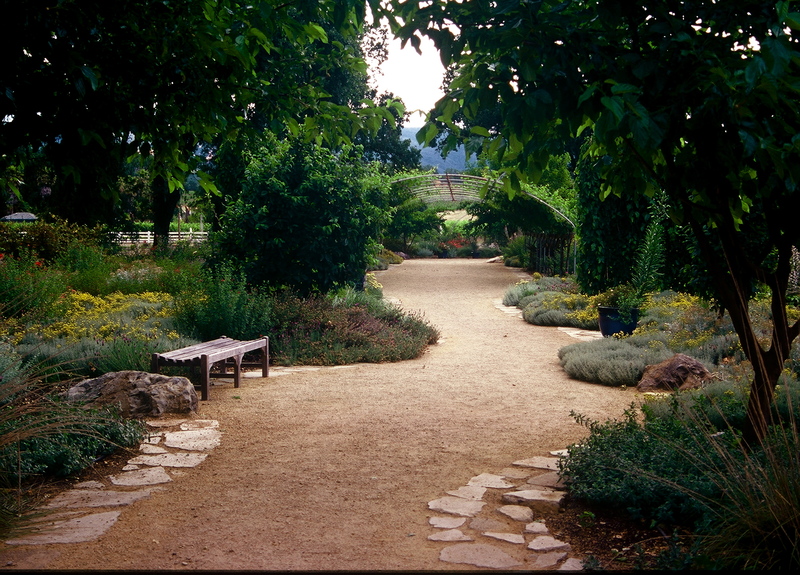 Another Mediterranean region garden with thyme and santalina blooming. 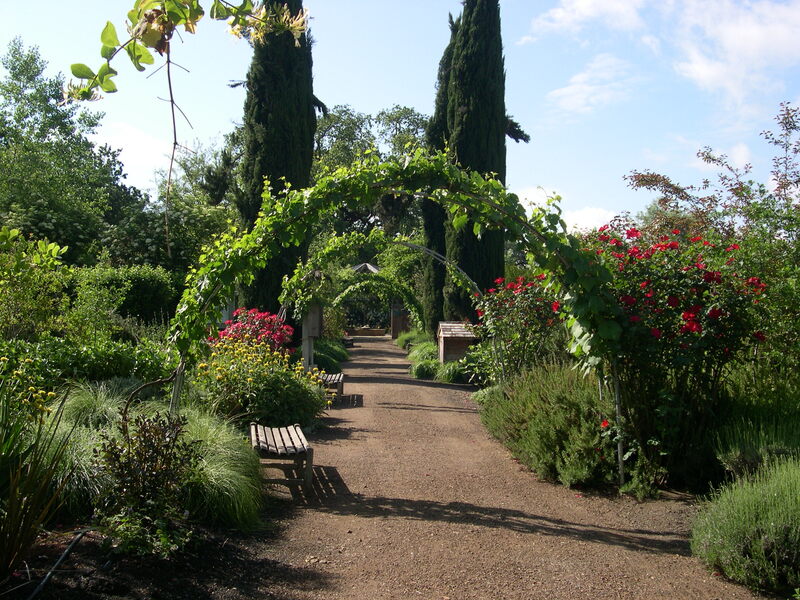 The mulberry garden- a garden with many native plants, as well as fruiting mulberries and grapes for nibbling and shade. A walkway with hoops festooned by muscat gapes in Hopland, CA. 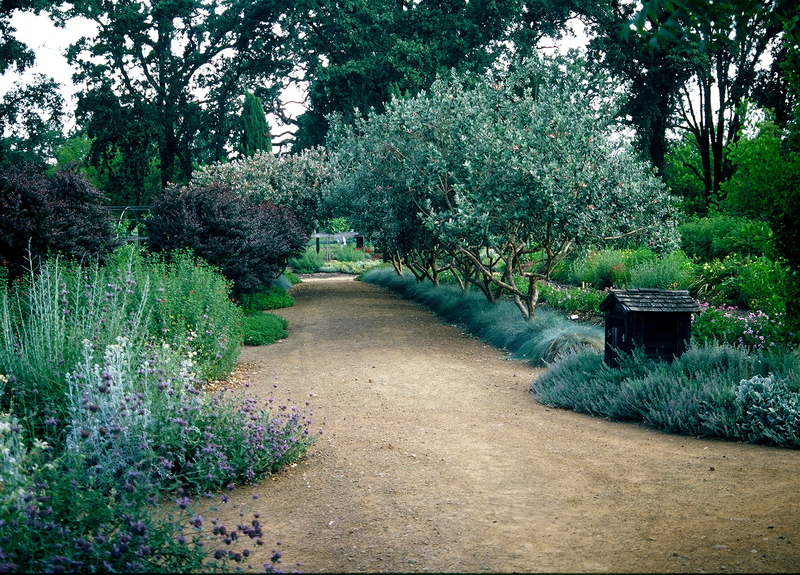 A blue scene of pineapple guavas and gray fescue in Hopland, CA. 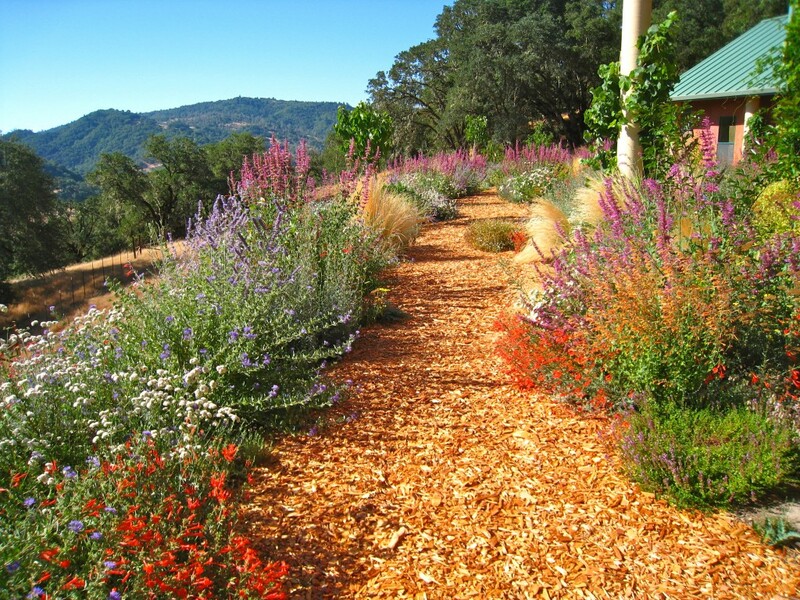 A habitat garden for insects and birds in pastels and bright colors. 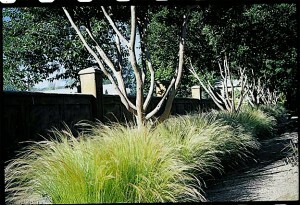 Clouds of stipa tenuissima and crape myrtles against a formal wall. Gourd tee-pees made of reedbar. 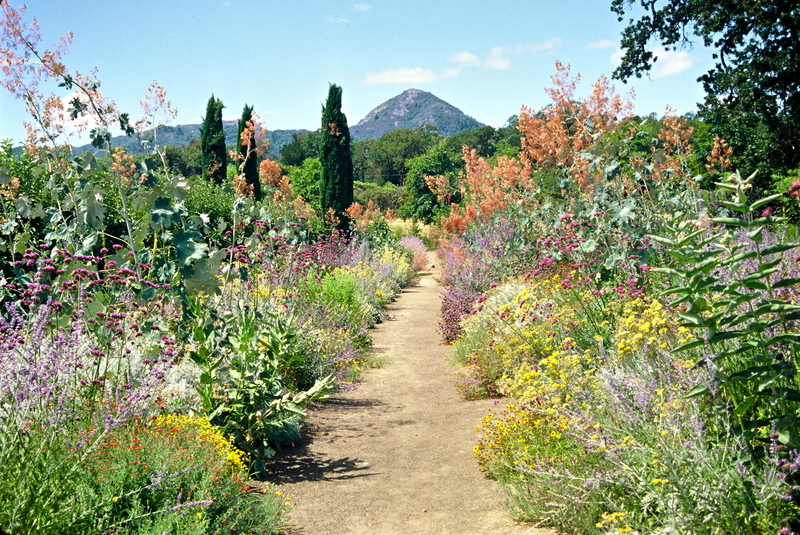 A vegetable garden in Hopland. 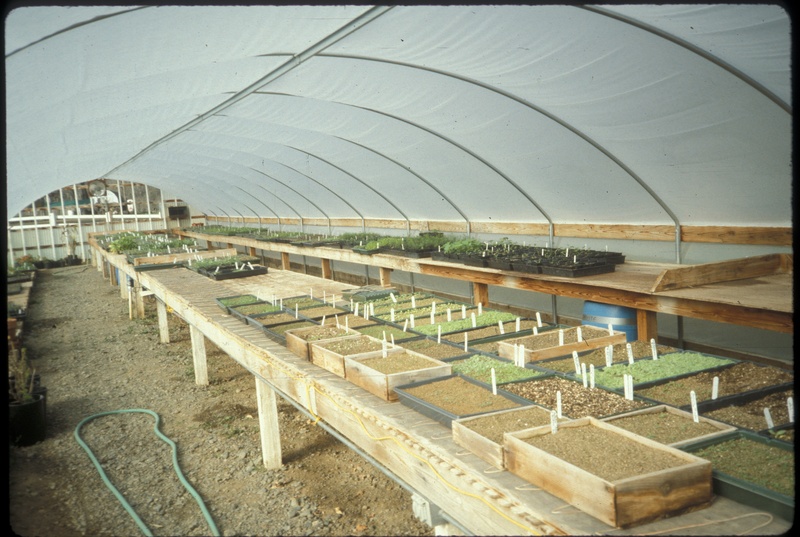 The greenhouse: where it all begins. Carol and Val's garden in Hopland, Ca: all drought resistant, habitat in nonstop color and fun. Also a humminbird paradise. 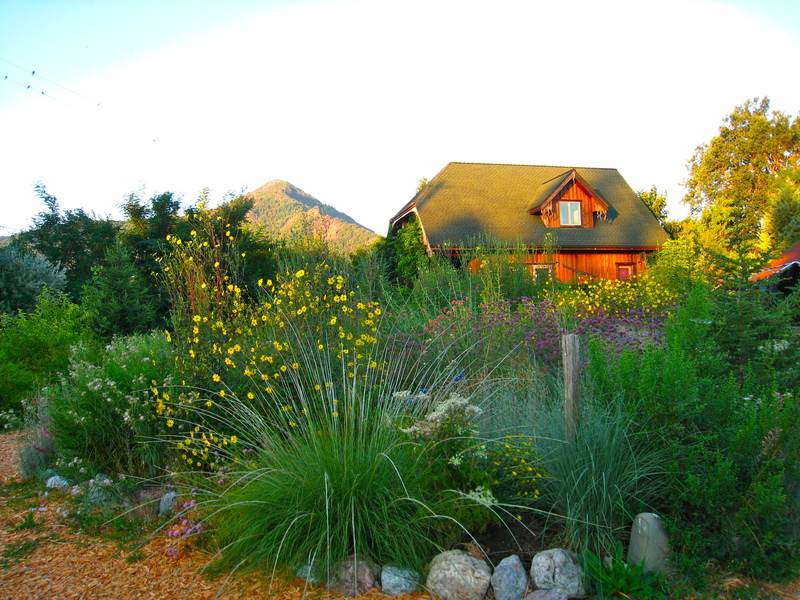 Carol and Val's house in Hopland, CA. 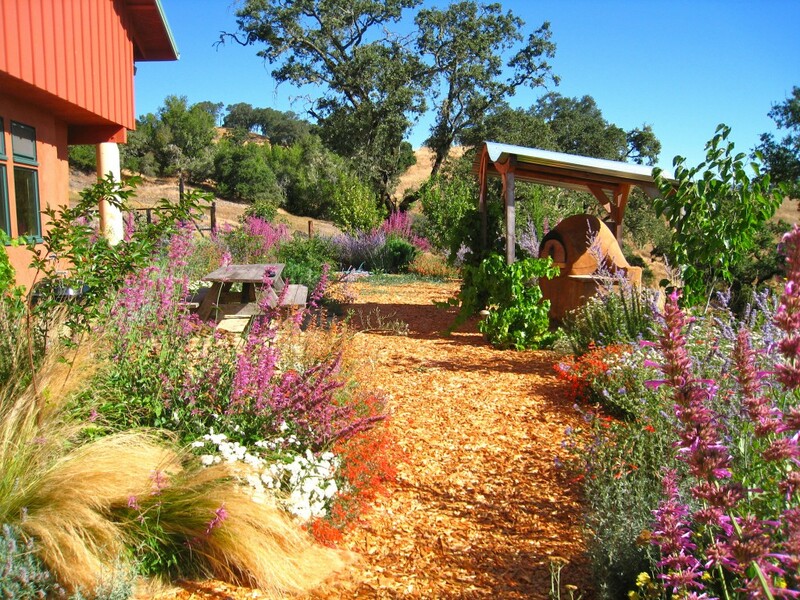 Carol and Val's garden in Hopland, CA. 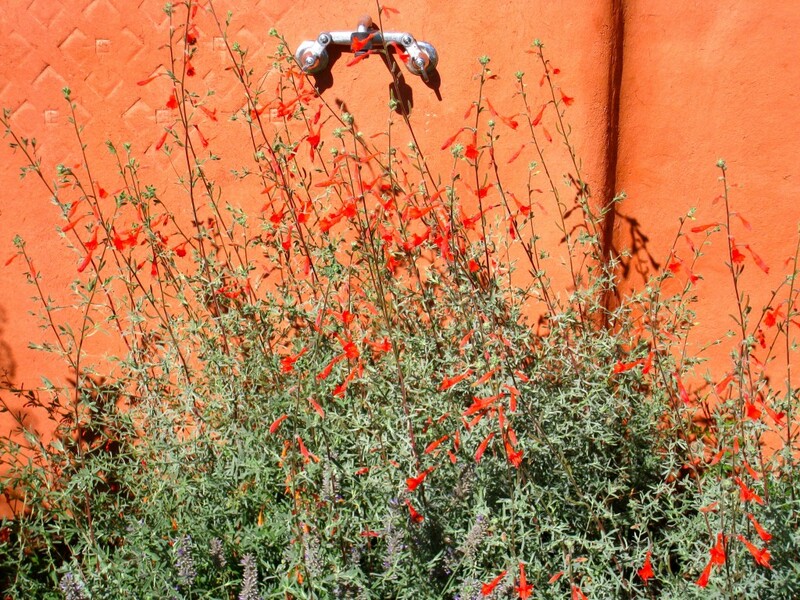 A detail of Epilobium 'Catalina', hummingbird plant and outstanding ornamental.